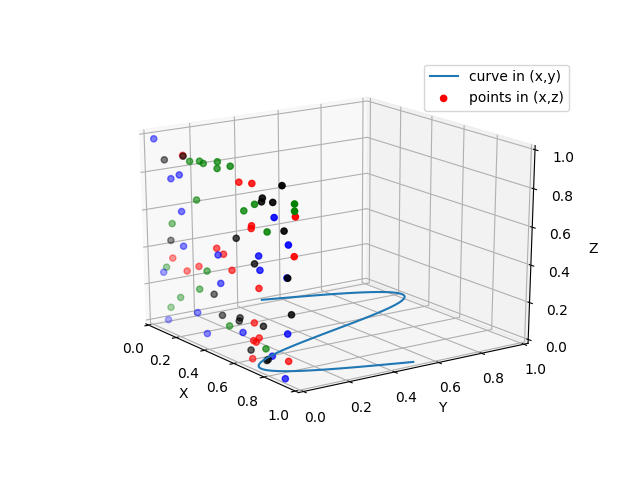 Demonstrates using ax.plot’s zdir keyword to plot 2D data on selective axes of a 3D plot. # Plot a sin curve using the x and y axes. # Plot scatterplot data (20 2D points per colour) on the x and z axes. # and the (x,y) points are plotted on the x and z axes.